The North Carolina Technology Association (“NCTA”) was founded in 1993 and is the state’s premier not-for-profit association focused on advancing North Carolina’s tech industry. 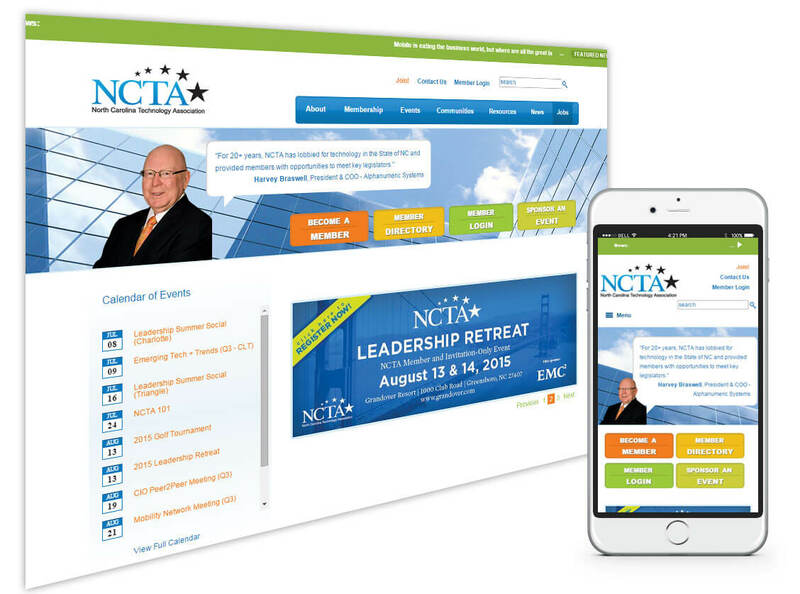 With over 1000 members in NC, including major corporations like Cisco, IBM, Red Hat, Time Warner Cable, Google, Microsoft and many more, NCTA’s website has become its communication portal across the state. With a comprehensive organic strategy that employs on-page optimization as well as newly created, keyword targeted SEO content, organic traffic has experienced a 34% increase year-over-year. Over 57% of new content ranks in Google's Top 10 and 35% of these precisely targeted pages alone generate an additional 7% organic traffic and have a bounce rate roughly 8% lower than the site average. 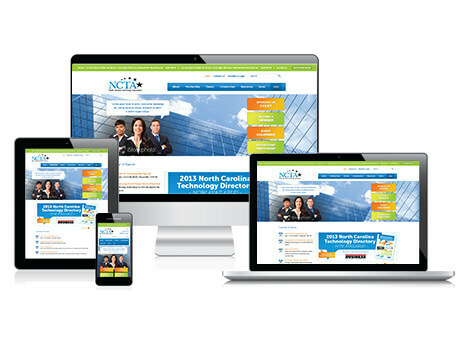 Beacon has been a long-time sponsor and web solutions partner for NCTA since 2008, not only in supporting its web initiatives, but also participating in NCTA events across the state. Website was originally designed and developed by Beacon under Cascade Server CMS and recently redesigned to apply graphic changes and adopt a fluid grid layout, what we sometimes call a "facelift". Creative and development teams worked together to implement a new “rounded” look and highlight key areas of the site to improve site navigation and usability for visitors. Responsive design for desktop, tablet and mobile devices. Emphasize driving visitors to "How to Sponsor an Event", "Become a Member", "Event Calendar" & "Membership Directory". Events pages highlights “What, When and Where” by placing this information higher up on the page. Large, prominent calls to action via buttons in left navigation of the events pages for Register Online and Print Form buttons. Prominent News ticker at top of homepage. Copyright © 2019 Beacon Technologies, Inc. All rights reserved.